When you were a kid, the shed was where your dad stored the lawnmower, rakes, and other yard supplies. While that’s still true to a certain extent today, there are many custom sheds that exceed the simple utilitarian use of a lawn and garden building. Instead of a rusted metal structure that looks like it could fall down at any moment, you can have a shed that’s beautiful both inside and out. At Better Built Barns in Oregon, we can help you create the perfect building, whether it’s a she shed, a man cave shed, or a playhouse for the kids. 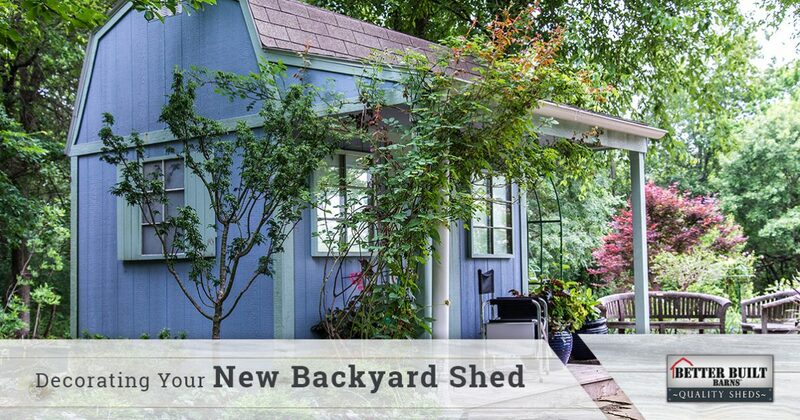 When it comes to decorating your new backyard shed, the possibilities are virtually endless. In this post, we’ll look at a few ideas that you can try on your new structure. Just as you would with the living room or dining room inside your house, the window treatments in your shed can set the tone for the rest of the decor. Depending on the window sizes and shapes that you have, you may need a small valance with a curtain, or you may need floor-length curtains that help block out the sun. You can also go with horizontal or vertical blinds that you can open or close as the sun moves throughout the day. If you’re going to have electricity in your new shed, then it’s important to consider the lighting and how it will influence the space’s decor. 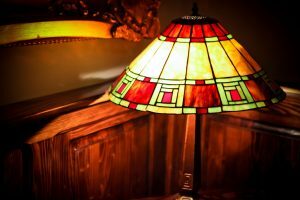 Lamps are a must for any she shed or man cave, and they may be the main source of light in the structure. However, if you have the room for it, then why not add a touch of class with a small chandelier. Permanent wall sconces are also a great option for accent and ambient lighting. If your shed is going to be a quiet reading spot, then a comfortable couch or chair is a must. If you plan on having friends over to watch the game, then you’re going to need seating for everyone. The furniture shouldn’t fill the space, but you’ll want to be sure that there are adequate seating and surface areas. For your decor, simply fill the space with things that you like, whether that’s vases, bookends, paintings, or posters. The possibilities for decorating your new custom shed may be endless, but the most important thing to remember is that you get to make the space your own. You might be sharing the shed with your spouse or partner, and the kids may use it for a quiet homework spot or a playroom. Adding your personal touch will it make feel more inviting, and when friends and family come to visit, they’ll see that you put a lot of time and energy into creating the ideal space. If you’re interested in building a new shed in your backyard, then please contact us today. We have locations in both Salem and Oregon City, and we proudly serve the entire state of Oregon. Our team will help you understand what you need to do to get your site ready for construction, and what our building process entails.